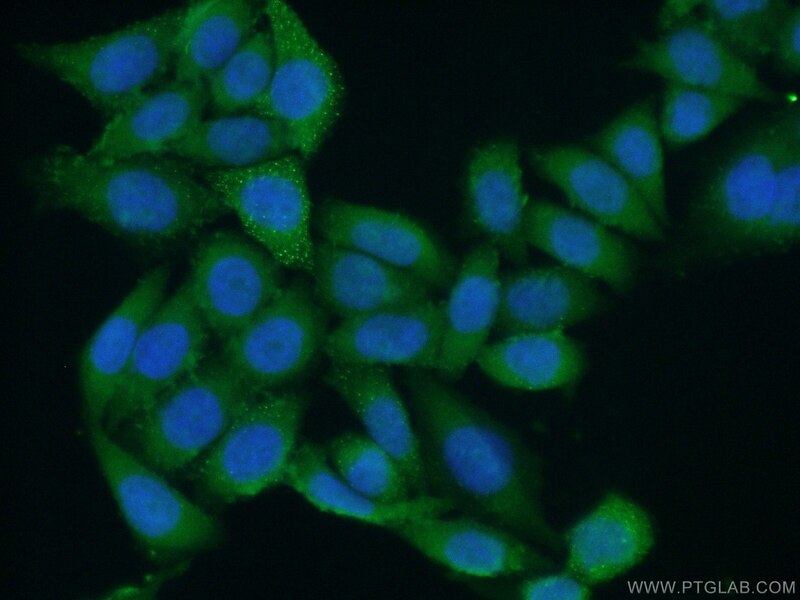 IP Result of anti-NMD3 (IP:16060-1-AP, 3ug; Detection:16060-1-AP 1:800) with HepG2 cells lysate 1720ug. 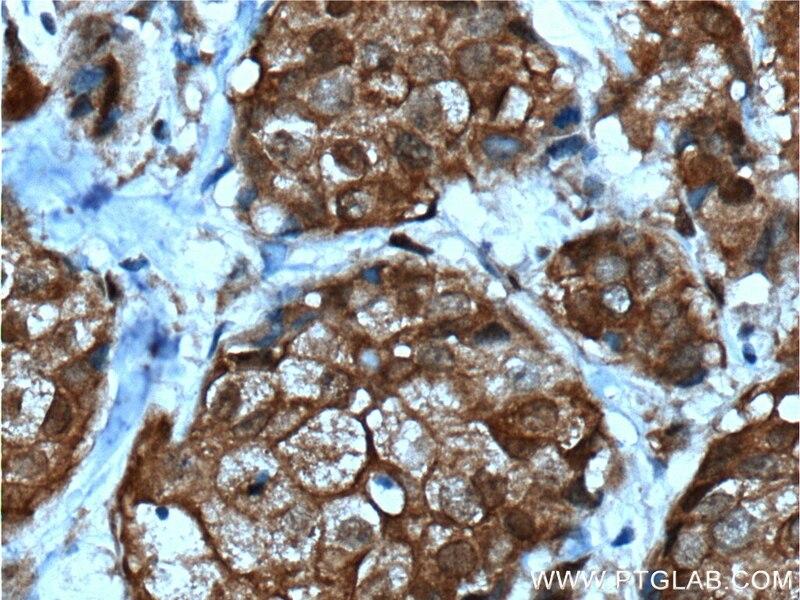 Immunohistochemical analysis of paraffin-embedded human breast cancer tissue slide using 16060-1-AP( NMD3 Antibody) at dilution of 1:200 (under 10x lens). heat mediated antigen retrieved with Tris-EDTA buffer(pH9). 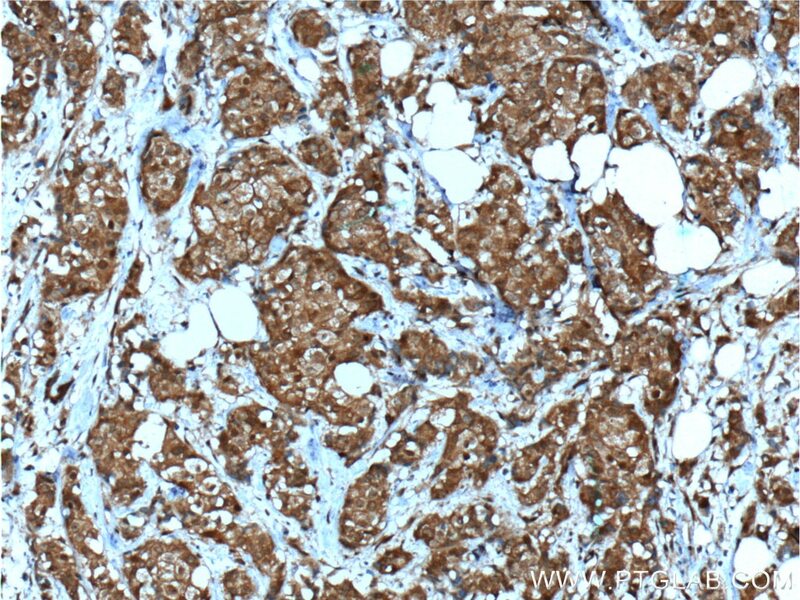 Immunohistochemical analysis of paraffin-embedded human breast cancer tissue slide using 16060-1-AP( NMD3 Antibody) at dilution of 1:200 (under 40x lens). heat mediated antigen retrieved with Tris-EDTA buffer(pH9). Human NMD3 gene encodes 60S ribosomal export protein which was found in a 60S ribosomal subunit export complex with RAN and XPO1. This nucleocytoplasmic shuttling protein NMD3 is an adaptor for export of the 60S ribosomal subunit from the nucleus. 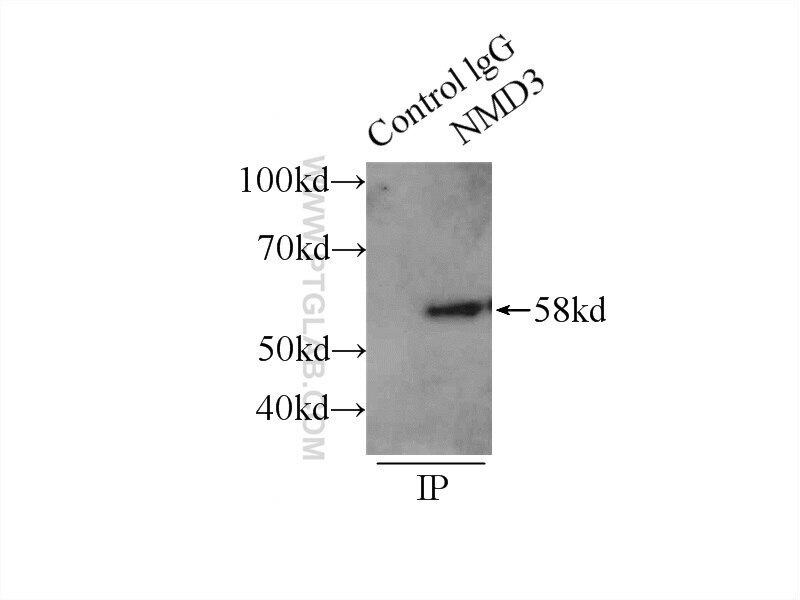 NMD3 contains a CRM-1-dependent leucine-rich nuclear export signal (NES) and a dispersed nuclear localization signal (NLS), the basic region of which is also required for nucleolar accumulation. NMD3 are required for nuclear export of the 60S ribosomal subunit in yeast and vertebrate cells, recent finding has also revealed its role in Arabidopsis thaliana. Defective ribosome assembly in Shwachman-Diamond syndrome. Uncoupling of GTP hydrolysis from eIF6 release on the ribosome causes Shwachman-Diamond syndrome. 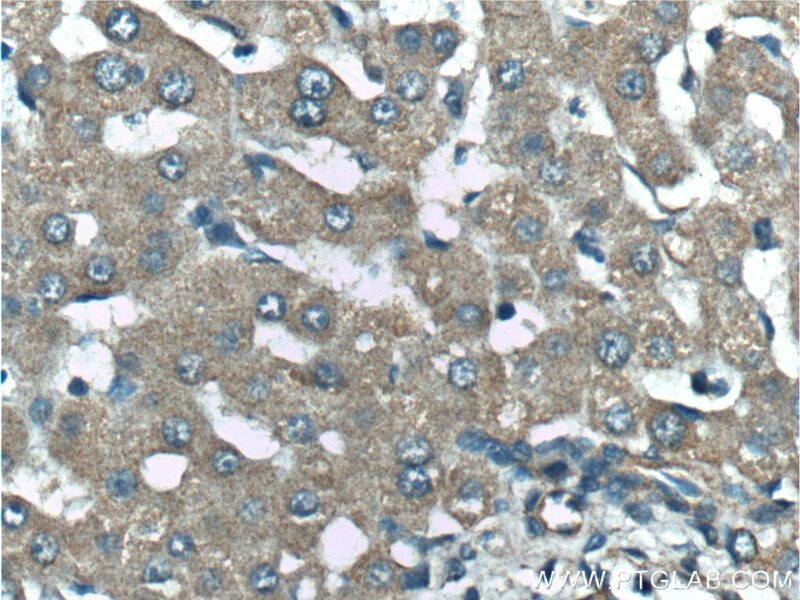 Immunohistochemical analysis of paraffin-embedded human liver tissue slide using 16060-1-AP( NMD3 Antibody) at dilution of 1:200 (under 10x lens). 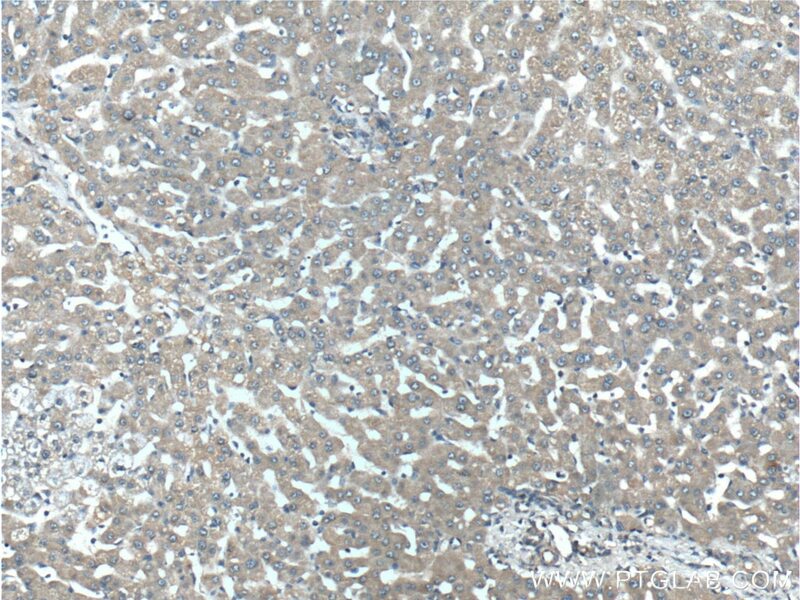 Immunohistochemical analysis of paraffin-embedded human liver tissue slide using 16060-1-AP( NMD3 Antibody) at dilution of 1:200 (under 40x lens).